A much stronger week, which is probably headlined by the new MONSTRESS, but as for interesting new launches, the Queen is probably the new BUFFY, THE VAMPIRE SLAYER comic from Boom! Or maybe it is Donny Cates' GUARDIANS OF THE GALAXY #1? Or maybe it is Bendis' Multi-culti launch of NAOMI at DC? Or it could even be the satanic-seeming BLOSSOMS 666 from Archie? 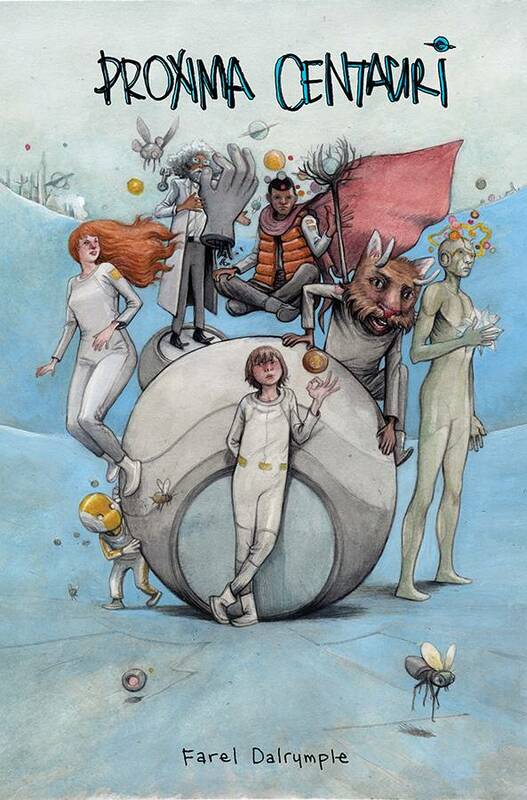 I don't know the book section is allll about the art with that gorgeous looking COLLECTED TOPPI v1 and the P. Craig Russell adaptation of PROBLEM OF SUSAN AND OTHER STORIES HC from Neil Gaiman prose stories and, wow, a trifecta with Farel Dalrymple and PROMIXA CENTAURI!